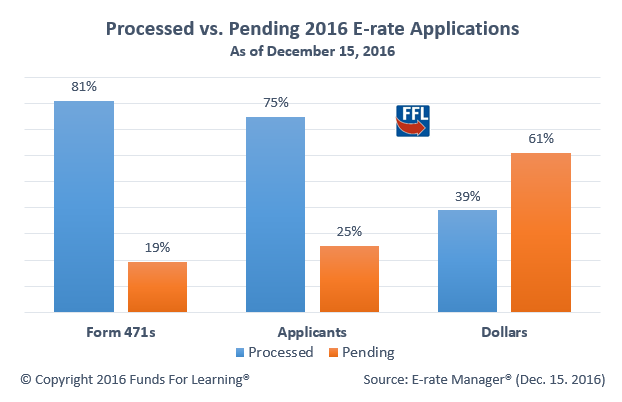 As the midway point of FY2016 approaches, a significant percentage of applications, applicants and funding requests are still pending: 1-out-of-5 Form 471 applications, 1-out-of-4 applicants, and 3-out-of-5 dollars requested remain under review. This is despite an FCC requirement that USAC complete its work by September 1. About two years ago, USAC embarked on a program to enhance its operations with a goal of making the E-rate program easier and faster for applicants. Unfortunately, the result was just the opposite. Applying for discounts has become both harder and slower for applicants. USAC has acknowledged its problems and has stated that it is taking steps to improve the situation. 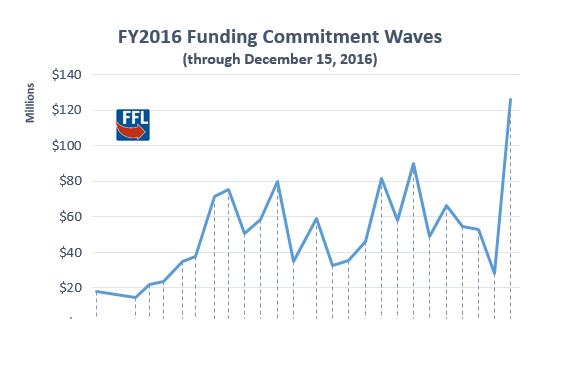 One positive indicator: this past week USAC issued its 25th and largest funding wave of FY2016. Commitments were issued to 1,433 applicants for a total of almost $126 million.